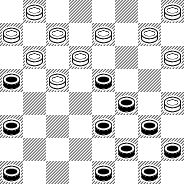 As this article goes to press, the battle has been joined to decide who is Number One in the world of British/American checkers and draughts. Alex Moiseyev of the United States is defending his world championship against long-time rival Ron "Suki" King of Barbados. Alex is providing his own colorful daily commentary on the Checker Solutions BBS, and it's not to be missed. After today's play (27 May 2005) Alex is leading Ron 5 to 2 with 13 draws. This is spirited, fighting checkers - how often do we see 7 out of 20 grandmaster games end in a victory? 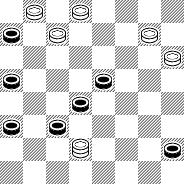 But no matter who finally emerges from this battle as the present-day Number One, we're seeing checkers at its very best. Right now, though, we want to take you back to an earlier contest for the claim to the title of Number One, a match held in the U.K. in 1958 between the American great Marion Tinsley and the British grandmaster Derek Oldbury. Tinsley walked out the undisputed world champion with nine wins, one loss, and 24 draws. Despite the seemingly uneven score, the match was hotly contested and produced some very fine play. But the match also produced a few unexpected and memorable errors! Today we'll ask you to take on the persona first of Marion Tinsley and next of Derek Oldbury, as you try to find the move to save the game, in positions unexpectedly lost by these stars of yesterday. Tinsley played 5-9? and lost at once to 7-16 12-19 27-24 White (Oldbury) wins. It was a shocking defeat, and The Times of London headlined: 'Sensational' Opening Win In World Draughts Contest. Can you find the line of play that would have secured the draw for Marion Tinsley? Oldbury, to everyone's surprise, played 4-8 and lost to 19-16 12-19 24-15 10-19 23-16 8-11 16-7 2-11 26-23 11-16 28-24 White (Tinsley) wins. What would have been the course of action for Oldbury to get the draw? Click on Read More to see how your play stacks up. 18-22* 7-16 22-29 16-11 15-18* 31-26 20-24* 27-20 29-25 11-15 25-30 14-2 30-23 was given afterwards in analysis by Tinsley to draw. There are many variations and side lines; it might be interesting to set this up on your computer and investigate further. Tinsley's post-game analysis gives 10-15 19-10 6-15 13-6 1-10 26-22 4-8 22-17 8-11 25-22 18-25 29-22 2-7 (or 5-9 17-13 2-7) for the draw. The full games, with detailed analysis and narrative commentary, appear in International Draughts and Checkers, a book co-authored by the truly Number One team of W.R. Fraser, Tom Wiswell, Marion Tinsley, and Derek Oldbury. If you don't have this incredibly wonderful book, you should look for it and buy it at whatever price is asked. How did you do with these two situations? 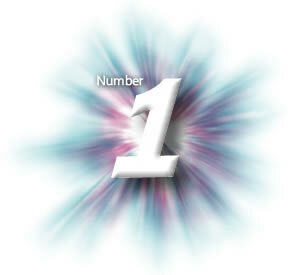 Are you now ready to take a run at the Number One slot yourself? For our part, we think we'll settle for enjoying the Moiseyev-King match as it progresses!